Huawei's Y5 2017 Will Be Available At Lazada PH Tom With Lots Of Freebies! 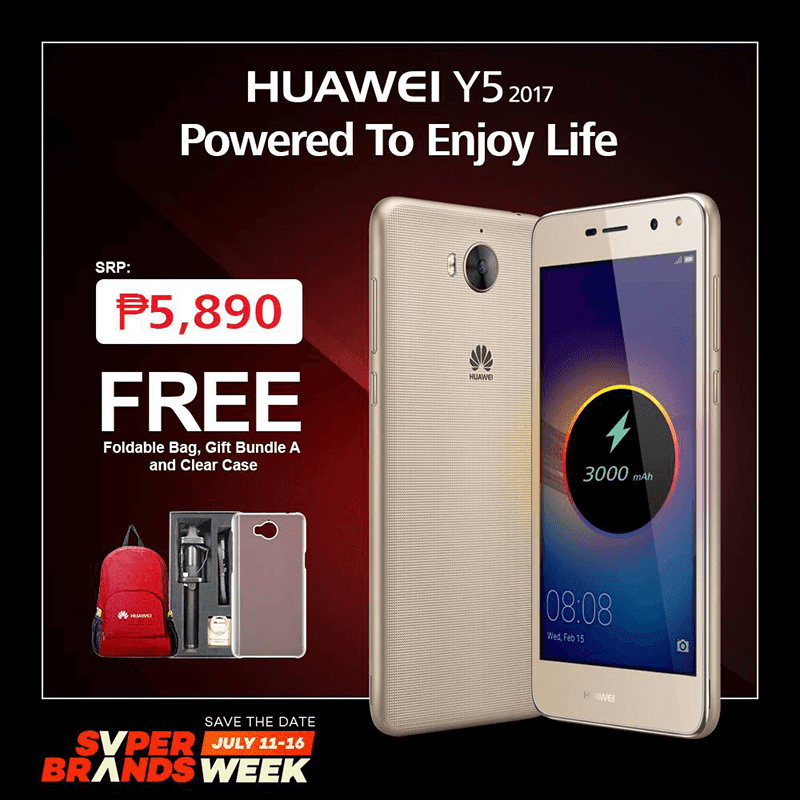 Home / huawei / mobile / news / Huawei's Y5 2017 Will Be Available At Lazada PH Tom With Lots Of Freebies! At Lazada's Super Brands sale this week (July 11 to 16), Huawei Philippines will put its latest budget smartphone offering on retail, the Huawei Y5 2017. Huawei Y5 2017 Lazada sale! As a quick recap, the Huawei Y5 2017 is a promising entry-level device. It has a pretty decent and speed 64 bit MT6737T quad core chip clocked at 1.4 GHz, big 3,000 mAh of battery, capable cameras and LTE connectivity. See also: Huawei Y5 2017 Now In Stores, Also Available At Home Credit's 0% Program For 6 Months! Those who will order at Lazada during the sale period will receive a FREE bag clear case, selfie stick, i-ring and combo cable.